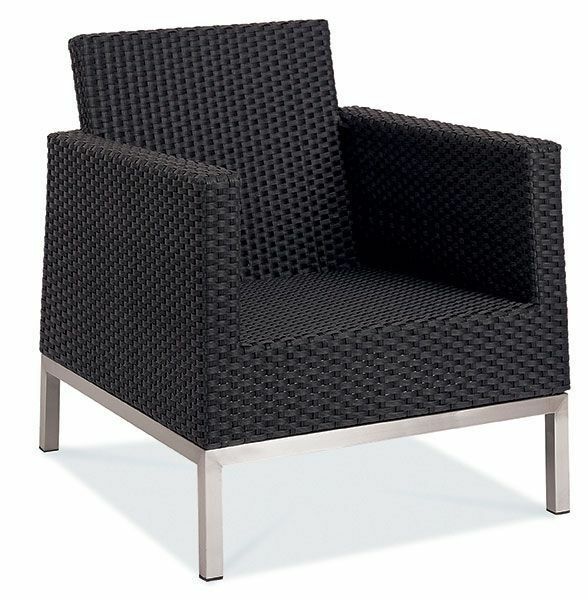 Large outdoor armchairs in a Black 5 x 5 weave with a stylish metal under frame. Suitable for outdoor commercial use. Low seating available for outdoor commercial use. Lounge chair designed for use indoors and outdoors and part of the Rossiter collection of imitation rattan furniture. Strong cubic design and modern look, the chair is supported by a thick aluminium lower frame.